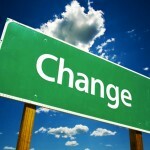 Is Sustainable Change an oxymoron? Would it be change if it was ‘sustained’ and didn’t change? Obviously change is a disciple. Change is a culture. As a leader, what do you want to accomplish? Do your employees know what needs to be done to reach that objective?